Sarajevo airport is the easiest option as the conference takes place here. Visit https://www.sarajevo-airport.ba/?lang=eng for more information. There are direct flights from Ljubljana, Munich, Doha, Cologne, Belgrade, Zagreb, Istanbul, Stuttgart, Vienna, Budapest, Sofia and Dubai. City Bus Airport – Baščaršija, sheduled 4:45, 6:30, 8:50, 9:45, 10:45, 11:30, 13:30, 14:00, 15:30, 16:15, 18:00, 19:45, 20:45, 22:00, 23:15 (2.5 €). Airport Sarajevo – Hotel Saraj: 11.5 km (20 min ride). Airport Sarajevo – Pansion River Apartments: 11.2 km (19 min ride). Airport Sarajevo - Franz Ferdinand Hostel: 11.5 km (20 min ride). Airport Sarajevo – Hostel Like: 11.5 km (20 min ride). Tuzla airport is specialised in travel with the budget option Wizzair. There are direct flights to Vienna, Bilund, Basel-Mulhouse-Freiburg, Berlin Schoenefeld, Cologne, Dortmund, FrankfurtHahn, Friedrichshafen, Karlsruhe/Baden-Baden, Memmingen/Munich West, Eindhoven, Gothenburg Landvetter, Malmo, Stockholm Skavsta and Vaxjo. Please see https://www.tuzla-airport.ba/en/ for more information. Please note that Tuzla is 3hours from Sarajevo by car. Those travelling on afternoon flights can take a bus to Sarajevo (leaves only once a day in the evening) and those arriving in the morning need to travel to the local bus station and take a bus there. If you decide to travel via Tuzla and are not sure how to arrange the travel to Sarajevo, contact us at events@2mb.ba. Banjaluka airport is specialised in travel with the budget option Ryanair. Currently there are flights to Belgrade, Brussels, Memmingen and Stockholm. More flights have been planned, so please check https://www.banjaluka-airport.com/ for more information. Please note that Banjaluka is 4hours from Sarajevo by car. Those travelling to Banjaluka would need to travel to the local bus station and take a bus to Sarajevo or rent a car there. This option is more complicated so don’t hesitate to contact us for assistance. Flights to other cities are also possible. There are good connections with Belgrade, Zagreb and Split. However, the distance to these airports is much larger and the average trip to Sarajevo from these destinations takes 6-8hours by car/bus. Sarajevo is also reachable by bus with direct access from many European destinations. You can check the bus schedules at www.eurolines.ba and https://global.flixbus.com. Those leaving directly from Sarajevo without taking part in the post-conference tour can book a return ticket and use the same transport options as upon arrival. Transport from Split back to Sarajevo is arranged and included in the post-conference tour fee. Please note that the bus leaves from Split late in the evening on 4 June and arrives in Sarajevo early morning on 5 June. You would need to arrange your own accommodation in Sarajevo for the night of 4 June and plan your return flight from Sarajevo (or other nearby airports) on or after 5 June. Don't worry! We are happy to assist if you have a hard time working out the best travel options. 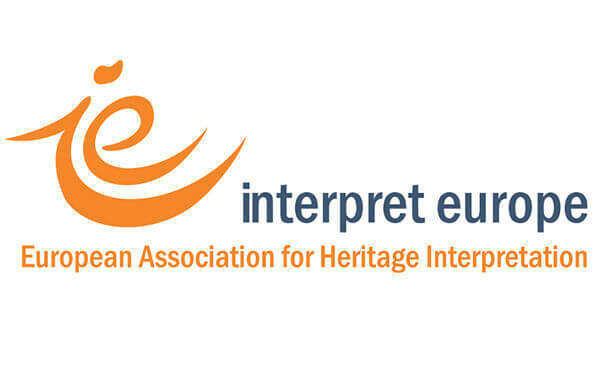 Contact us at jelena.pekic@interpreteuropeconference.net if you need help!